• Gold Medalist in Regional Hopes week (South Asia) held at Balewadi, Pune, India 2016. • Participated in ITTF World Junior Circuit India Junior & Cadet Open held at Indore, Madhya Pradesh 2016. • Participated in Regional Hopes camp held at Abhay Prashal, Indore, Madhya Pradesh 2016. • Gold Medal In Doubles In Pacific School Games Held In Adeliade, Australia From 22nd to 29th November 2015. • Gold Medal in CBSE Nationals held at Vadodara Gujarat in Nov 2016. • Gold Medal in National Championship Cadets girl team held at Siliguri North Bengal. • Bronze Medal in National Ranking tournament held at Chandigarh in June 2016. • Gold Medal in 62nd National School Games (team event) held in Delhi. • Bronze Medal in National Ranking tournament held at Visakhapatnam Andhra Pradesh. • Bronze Medal in National Ranking Tournament held at Indore Madhya Pradesh. • National Champion In Cadet Girls In 2015. 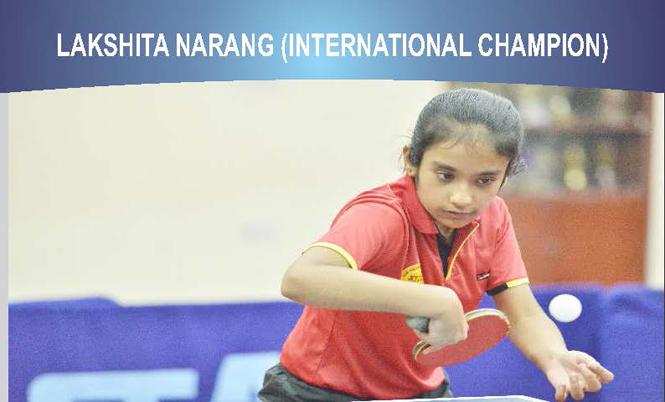 • Silver Medal in U-14 Girls Singles in CBSE Nationals T.T Championship held at Meerut (U.P) 2015. • Silver Medal in Cadet Girls Singles in National Ranking T.T Championship West Zone held at Thane, Maharashtra in 2015. • Bronze Medal in Cadet Girls Singles in National Ranking T.T Championship Central Zone held at Jamnagar, Gujarat in 2015. • Silver Medal in Cadet Girls Singles in National Ranking T.T. Championship North Zone held at Delhi, New Delhi in 2015. 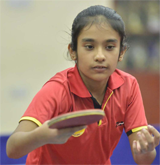 • Gold Medal in Cadet Girls Singles in National Ranking T.T Championship held at Chennai, Tamil Nadu, 2015.